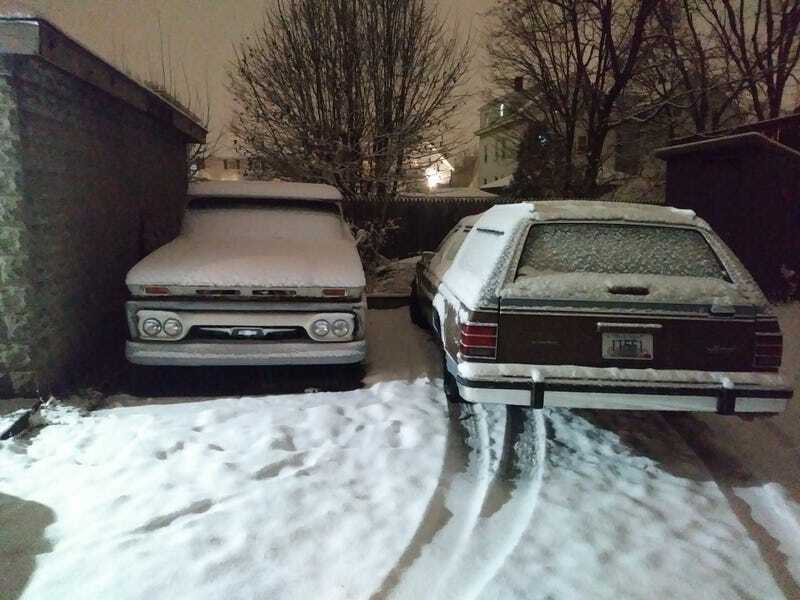 The classics covered in the first snow of the season. I had to drive the wagon home from a transmission shop during the storm. The shop said it didn’t act up for them, and when they dropped the pan the trans looked like new. He suggested it might be the engine cutting out for a second making it feel like the trans is lurching, and suggested i change the coil. The xB also got its winter wheels and snows.